We are being increasingly exposed to sports betting (and gambling as a whole), due in part by the industry’s rise in recent years and the many options now available to us online. This industry sector has grown by 30.1% in the last 12 months alone* and has contributed to a rise in the overall participation rate of Australians in some form of gambling each year! Generally speaking, gambling can be broken down into two main categories: betting on scratchies, poker machines, lotteries, casino table games and keno; and, wagering on the outcome of a contest or event such as racing and sports betting. For many people, gambling is a form of entertainment that is enjoyed responsibly, but for others the impact may be devastating to their financial, emotional and physical wellbeing and to their families. 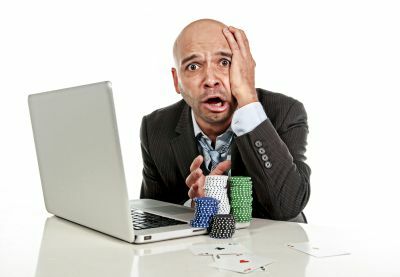 Being more informed about gambling, and the risks involved in problem gambling, can help you to gain a better understanding of what part gambling plays in your life, how it may restrict you from reaching your financial goals and if you need to make some changes or seek professional help for you or a family member. The incidence of problem gambling is still mainly related to the use of poker machines, but many people are becoming more involved in online and smartphone wagering commonly associated with sports betting. The total recorded losses through gambling in Australia average out to around $1,241 per person*. But problem gamblers lose roughly $21,000 each year*^ – that’s roughly one third of the average Australian salary that could be better targeted towards debt reduction and savings goals. The actions of one problem gambler may negatively impact the lives of five to 10 others such as family members, friends and employers. The harms from problem gambling may include suicide, depression, relationship breakdown, lowered productivity, job loss, bankruptcy and crime. Problem gamblers are six times more likely to be divorced than non-problem gamblers and children with parents who are problem gamblers are up to 10 times more likely to become problem gamblers themselves than children with non-gambling parents. Problem gamblers are four times more likely to also have problems with alcohol and take up smoking daily in comparison to non-problem gamblers. Although we have focused on sports betting and gambling, it is useful to reflect on how you decide to spend your discretionary income on goods and services. Consider in a week, fortnight, month and year, the separation between consumer staples (needs) and consumer discretionary (wants). How much do you allocate to consumer discretionary and are your ‘entertainment preferences’ limiting your capacity to reduce your debts (e.g. mortgage) as well as save for short to medium goals (e.g. purchasing a house) or long-term goals (e.g. retirement)? By setting a budget, not only can you come to understand where your money is going, but also plan ahead for the future. And remember, if you are considering buying a lottery ticket, playing the pokies, having a punt at the races, trying your luck at a casino, or making a wager on sports betting via online gambling and smartphone apps gamble responsibly as it may not just be your life that you end up affecting.